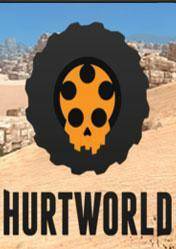 Buy Hurtworld cd key for PC digital download at the best price has never been easier! This product is a digital serial or cd key for Hurtworld downloadable from Steam platform. After buy Hurtworld cd key, you will receive by email an activation code or serial, that you must enter in your Steam account to proceed with the download. Hurtworld is a survival FPS multiplayer where we must cover our basic needs, among other objectives. We make a fire for not die of cold, or not to be devoured for the dangerous creatures that roam around the map. We must collect rich resources, find loot and investigate technological improvements. One of the main features of this title, which is under Early Access, is the multiplayer aspect. Designed for both play PVP and PVE. So the threats come from both the beasts of the world as from other players. We can produce all kinds of equipment, weapons and tools and build all kinds of defensive structures in the purest style RUST or Survival ARK. Remember that all the shops listed in the following comparative prices have been checked by our team, so they are totally reliable.